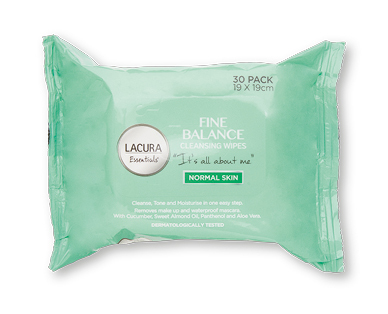 LACURA® Essentials Fine Balance Cleansing Wipes are specially formulated for normal to combination skin. They are enriched with cucumber extract, sweet almond oil and aloe vera to help cleanse, tone and moisturise in one easy step. Use everyday to remove make up including waterproof mascara. Your skin will be left refreshed and revitalised.